After series of protests by the unemployed bonded nurses and midwives for employment, the Ministry of Health (MoH) has secured financial clearance for their subsequent employment. 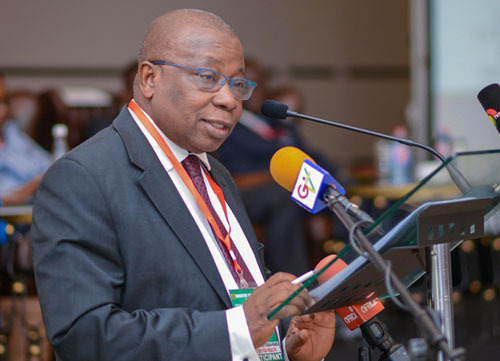 Making the announcement on the sidelines of the mid-year performance review of the Nursing & Midwifery Council, Health Minister Kwaku Agyeman-Manu explained that the jobless graduate nurses and midwives will receive their appointment letters by the end of 2018. “After pressure, we have got the financial clearance issued and we will start looking at how quickly we can put them on payroll that can be accommodated for this year. I think that by close of year we might have given appointment letters and we might have posted them. What we do not want to do is to post them and then for two months they will go and sit there without salary and then we create salary arrears. We do not want to do that…Now that we have gotten the financial clearance, next two weeks, we will start doing interviews and posting for them to get some job to do,” Mr. Agyeman-Manu said. In February 2018, some unemployed graduate nurses, after years of graduating from various health training institutions in the country without jobs, picketed at the Ministry of Health demanding employment. Since then, the nurses and midwives have frequently held protests at the Ministry of Health on the same issue. The last protest before this announcement was the coordinated demonstration that took place in Kumasi last week. The nurses also protested against their perceived enrolment on government’s flagship programme- Nation Builders’ Corps- saying it does not provide job security and the remuneration package for the scheme is below what they are going to receive when employed. But the Coordinator of the Nation Builders’ Corps (NaBCo), Dr. Ibrahim Anyass, stated that although there are openings for graduate nurses to be employed under the scheme, application for the jobs is not compulsory. He pointed out that the project has been initiated by the government as a stop-gap measure to allow graduates from tertiary institutions who have completed their mandatory year of National Service gain vital work experience while ensuring that they continue to practise the skills they have learnt. Meanwhile, earlier this year, government announced the employment of over 25,000 health personnel. According to the then Minister of Information, Dr. Mustapha Hamid, although government is no longer obliged to engage nurses after their studies, processes are ongoing to recruit 32,000 health personnel, out of which 27,000 will be nurses.